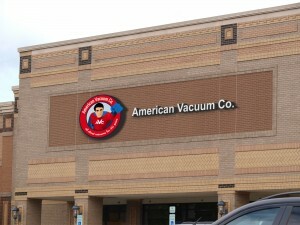 American Vacuum Company has nine locations in Missouri and Kansas. We are one of the largest retail vacuum companies in the United States. We have been in business since 1971 and specialize in sales and service of different types of vacuums. We sell nearly every type of vacuums, central vacuum, and replacement part. We sell domestic, commercial and built-in central vacuums like Beam, Vacuflo, Dyson, Hayden, NuTone, Hoover, Sanitaire, Sebo, Rainbow, Electrolux and many other vacuums. Simply type in the name of the part or a manufacturer’s part number to locate your item. We also install and repair central vacuum units. If you see one of our service trucks in your neighborhood, let us know on Twitter! Our prices are competitive and backed up by four decades of experience. If you do not see the item you are looking for, please call us for a quote. We have many items in our warehouse that are not listed here. We now sell EdenPURE and Sun Twin heaters! Navigate our site to see our inventory or type a part number or search term in the search box. We don’t just sell vacuums. We repair them, too. Indeed American Vacuum Company is the authorized warranty service station for Bissell, Hoover, Royal, Eureka, Beam, VacuFlo, Riccar, Carpet Pro, Rug Doctor, Dyson and Sebo. You can buy (or repair) with confidence. We also are on eBay and have a 100% Experience Reputation. Please see our eBay Profile so you can learn more about us. We are on Twitter! Please see our Twitter page so you can follow us. Let us know when you follow us so we can let you in on our Twitter promotion. If you experience any problem with your purchase after the manufacturers’ warranty period please feel free to contact us at: (816) 343-4AVC.